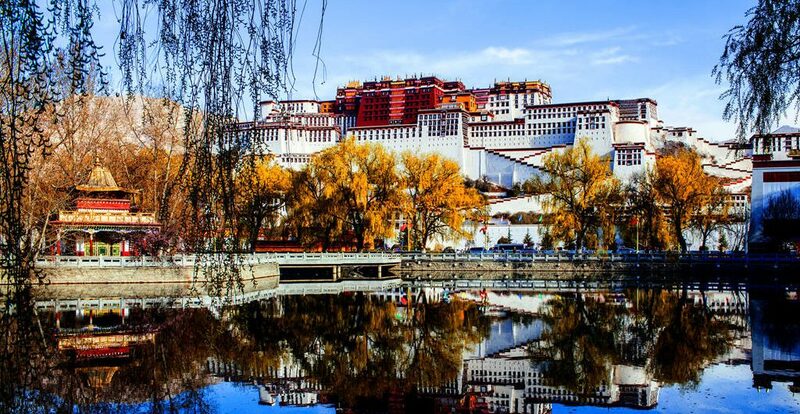 The landmark of Lhasa, Potala Palace, is going to undergo its annual facelift. Workers and volunteers will whitewash the exterior of the 1,300-year-old palace in order to celebrate festival. Workers and volunteers need to paint the Potala Palace in about a month. Because this palace has to prepare for the coming Lhabab Duchen Festival. This festival is said to be the day the Buddha descended from the heavens and it will be celebrated on 20th Oct. this year. Also, it is one of the four Buddhist festivals celebrating four events in the life of Buddha. It is common in Tibet to paint buildings, as it is a necessary protection against the extremes of weather in highland. Traditional formula of milk, sugar, honey and lime are using for the whitewash material used for Potala Palace. Hundreds of local volunteers arrived here in Lhasa on Saturday to help. For more information about Tibet travel, please contact the local travel agency.